I²C or Inter-integrated Circuit protocol is a hardware protocol designed to allow multiple, slave integrated circuits to communicate with one or more master. It uses two bidirectional open-drain lines, Serial Data Line (SDA) and Serial Clock Line (SCL), pulled up with resistors. Typical voltages used are +5 V or +3.3 V, although systems with other voltages are permitted. If you followed our earlier post on SPI then you can spot the differences with I2C. Let’s take a little more detailed look. SPI needs 4 pins for the communication, and additional slave select logic for selecting slaves, whereas I2C requires only 2 pins to connect any number of slaves. SPI is good for high data rate full-duplex (simultaneous sending and receiving of data) connections, supporting clock rates upwards of 10MHz (and thus, 10 million bits per second) for some devices, and the speed scales nicely. Unlike SPI, I2C supports multi-master hardware connection which is useful for industrial applications where one sensor needs to to be controlled and accessed by multiple master devices. Raspberry Pi 3 supports I2C communication. It can support for both single master and multi-master configuration. In this post, we will make a simple I2C demonstration with Raspberry Pi3 as a single master and two Arduino UNO devices as slaves. So this will be a single master, two slave setup. If you are using Raspian Linux 3.18 or later, you need to go into the Raspberry Pi config utility and enable I2C. Select 8 Advanced Options and then A7 I2C – Enable/Disable automatic loading. A prompt will appear asking Would you like the ARM I2C interface to be enabled?, select Yes, exit the utility. 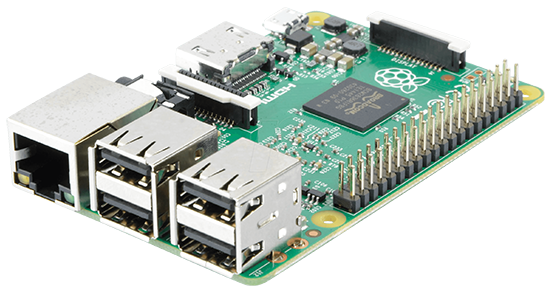 Reboot your Raspberry Pi followed by the steps below to install the prerequisite software and drivers. Save your changes and exit the nano editor. When your Raspberry Pi has rebooted you will have the I2C and SMBus Python 2 or 3 support. To follow more on SMBus functions, check this link. Before getting into the specifics of the hardware connection, let us define the role that each of the devices plays in this demo. Arduino UNO (2 nos.) – Acts as an I2C Slave. Receives data at the I2C interface, sent from the Raspberry Pi and displays it on the Serial Monitor of Arduino UNO. Raspberry Pi – Acts as the I2C Master. Takes the data from the user on the terminal and sends to the both the slaves. We are going to demonstrate I2C communication between the Raspberry Pi and Arduino UNO by sending the user data from the master to all the slaves and displaying it on the serial monitor. Here is the schematic for the hardware connection. Here, is the actual setup used for the demo. I am using a custom made Arduino UNO setup using Atmeag328p on the breadboard to demonstrate multiple slaves. But you can follow along using two Arduino UNOs as shown above. Before proceeding, we need to install Arduino IDE on the computer from where you will access the Arduino UNO. – Start Arduino IDE and plug one of the Arduino UNO board to the USB port of the computer. Follow the steps below to flash the I2C slave program on the Arduino UNO board. Step 6: Upload the Code on both the Arduino UNO boards. Step 7: Connect the second Arduino UNO and open the file rpi-series/i2c_communication/arduino_i2c_2/arduino_i2c_2.ino and follow the above steps from step 3. Both Arduino UNOs are now configured as I2C slave devices with distinct addressess. You should keep them connected to the computer with their serial monitor on. Once you run the python script you will be prompted to key in some data. Go ahead and do it and then you can see the same data being displayed in the serial monitor for both the Arduino UNOs. That’s I2C in action. The Raspberry Pi I2C master sends the data to both the slave devices once it receives something from the keyboard input. Check out the source code of I2C master and slave to understand how this operation works. Also, as an exercise, you can emulate the slave select functionality that I showed earlier in SPI, to select the slave to which the data will be sent. I encourage you to try this out and then you will have a better hang of I2C programming. Before signing off, I have a bonus for you. You now know that I2C can be used in a multi- master setup. So how about having two Raspberry Pis configured as I2C masters and receiving data from one Arduino UNO configured as a slave. With this, I have covered all the essential hardware interfaces in Raspberry Pi. Feel free to comment below if you are looking for some help and also please share your experiences or any particular challenges that you might have faced in executing this setup. I will be back soon with some more interesting demos with Raspberry Pi. Till then, Happy Hardware Hacking. Fantastic! I’ve done a bunch of I2C on Arduino, and want to build a small project with an Arduino Micro to directly control some critical timing, while feeding medium level status back to a Pi that will present exercise some logic about event sequences and then present stuff on a web page. These are EXACTLY the examples I need to head off in my stated direction, and all without a bunch of extra fluff. How would I receive data from a simple I2c chip and implement data that into python?